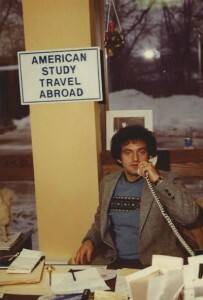 Bob Bianchi-Rossi, the founder of ASTA, immigrated to the United States from Italy in the early 1950’s with his family to the iron-ore-rich region of Minnesota. After graduating from the University of MN, Duluth, with a teaching degree, Bob landed a job at Hermantown H.S. as the Spanish teacher. Only after a few months Bob discovered it was essential to Expand the Walls of His Classroom and began organizing educational tours for H.S. students from around the region to Spain which gave students a first-hand view into the world of the countries language they are studying. As a family-run business, our name resonates deep inside the countries we work with allowing you access to places you never imagined you could go. We have the ability to give you the personal attention that you deserve and treat you with the same compassion we would expect to be treated as an educator. We put the long-term interests of future generations above short-term financial gains. Our success will be measured by generations of family, rather than by numbers on quarterly reports. Our quest takes us down a longer path with the future of education at the forefront.